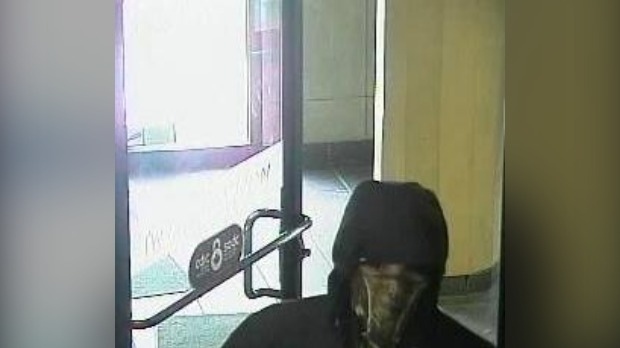 Regional police are investigating an armed robbery at a downtown bank. 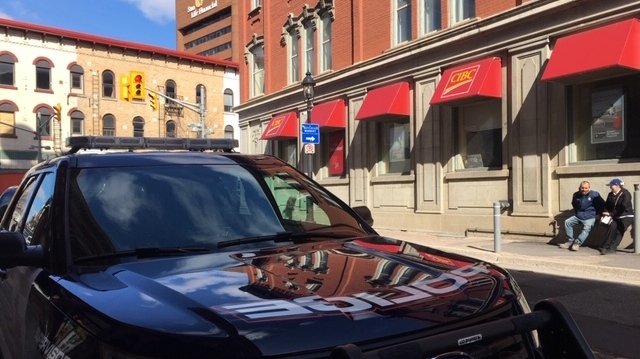 Police responded to the CIBC on King Street East in Kitchener just before 4 p.m.
A man reportedly entered the bank with a gun and demanded money. 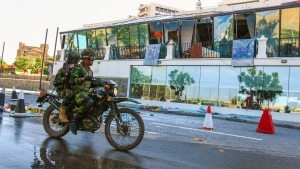 Police confirmed that the suspect fled on foot, leaving with an undisclosed amount of cash. On Thursday, police released a photo of a suspect captured on surveillance video. He's described as slim, standing about 5' 6" and wearing red pants and a black jacket. While the vestibule to the instant tellers remained unlocked, the bank itself closed for the afternoon. "We are temporarily closed. We apologize for the inconvenience. Thank you," a sign on the door read. The block of Queen Street South next to the bank was closed, but business owners nearby say it's unrelated to the robbery.